I’m pretty confident that as a driver you pay close attention to the cars in front of you and on each side of you, and perhaps even to the cars behind you to make sure you know what they’re up to. However, are you the type of person who pays attention to, cares about and is considerate of the car behind you, the cars seeking to merge, etc.? 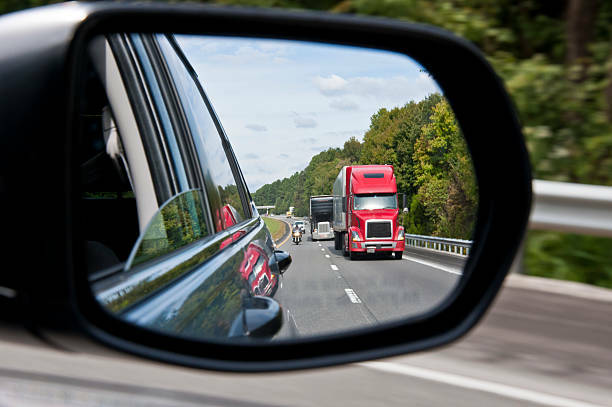 In my experience, there are very few of us drivers who pay real attention to the car behind us, instead focusing all of our attention on ourselves, our interests and our needs. If I’m stopped at a red light, I pull ahead far enough to let the car behind me turn right on red. If I’m approaching a red light in the right lane and I’m going straight, I will often switch to the left lane so that cars behind me can turn right on red. I make sure to pull up in traffic or at a light to make sure that the cars behind me can access turn lanes, make turns or pull into places on the corner. All of these are in stark contrast to the behavior that I observe in other drivers who seem solely focused on where they’re going and what’s in front of them, ignoring the potential impact on cars behind them (and their ability to be of value to other drivers). What does this have to do with leadership? Perhaps a great deal. One role of every impactful leader is to be constantly scanning to see where there are issues, opportunities and ways to make an impact, especially in serving others. In addition, leaders serve organizations, communities and people as a steward for the future (e.g. the people that come behind them – much like the cars behind you). If you’re failing to pay attention to the cars behind you, there could be many reasons. Maybe you simply have never thought about it. It’s also possible you may be solely focused on your own situation and objectives at the expense of others. You may not even care at all, or you may believe it is and should be every person for themselves. Perhaps you think the people and places behind you are irrelevant since you’ve already passed where they are (and therefore you’re “ahead” of them). No matter your truth, my hope is that you will stop and think about, and perhaps expand your vision and attention to, the cars (and people) behind you. We often throw around the phrase servant leadership, but it’s time to start turning phrases and concepts into different thinking and shifts in attention and intention. One way to start to is adjust your view and attention to include the car (and cars) behind you and to actively look for ways to serve, invite and include in every area of your life – which is precisely what impactful leaders do.